Surf Spots: Lahinch, Co. Clare. Lahinch is one of the best known locations for surfing in Ireland. The town has numerous surf shops and schools and you can’t turn a corner without seeing a surfboard somewhere. The main surf break here is along a relatively large beach with rocks along the foreshore. 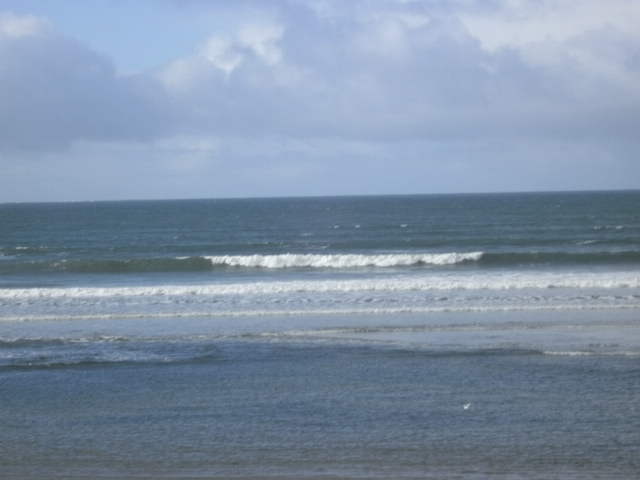 It is a good beach for beginners with plenty of surf schools and can also produce some large waves for the more experienced. This beach gets very busy with beginner surfers, especially during the summer months and Lahinch has got the name of a real ‘Surf Town’ in recent years. 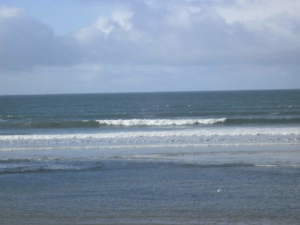 Lahinch works best with a east or north easterly wind and a westerly or south westerly swell. When the tide is in the waves tend to break on the foreshore rocks so its best to surf here at mid to low tide. There’s usually a rip here which can drag you southwards but just keep an eye on your position and you’ll be fine.There are a couple of other beaches close to lahinch which are pretty good surf spots such as Spanish Point and Doonbeg – these pick up more swell but Doonbeg is not for beginners. For the pros there are a few spots close to Lahinch which are home to some massive waves but these are definitely for the more daring.